Each irrigation system type has its advantages and disadvantages, depending on the situation, and it is often necessary to make a series of compromises. Keeping an open mind to all available options may complicate the selection decision, but it will ensure that a more suitable system is not overlooked as a result of existing preferences by the owner, irrigation designer or consultant. Selecting a suitable irrigation system requires consideration of key parameters that are specific to each irrigation enterprise. For example, you may wish to adopt drip irrigation but are located in a communal irrigation supply scheme which supplies water too infrequently or inflexibly for drip irrigation to be successful. Irrigation system selection is also influenced by crop type. For example, you may like to grow a cover crop in a citrus orchard, therefore low level sprinkler irrigation may be the most suitable option. 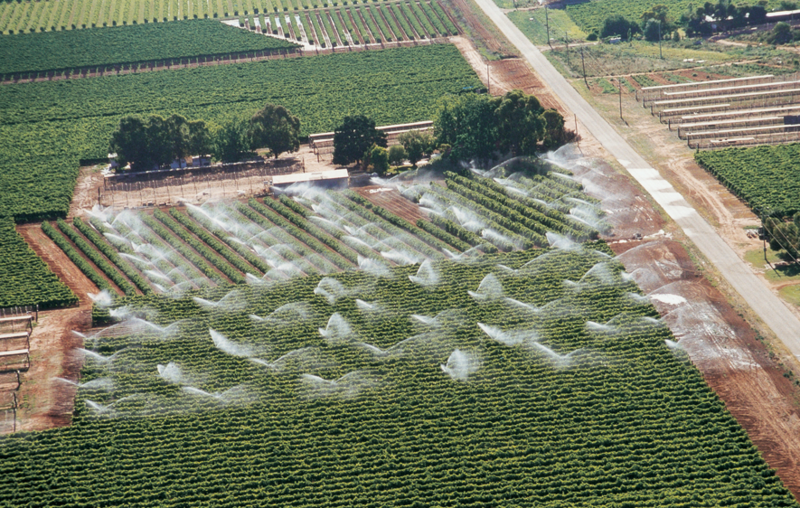 Also, the crop may be sensitive to heat and sunburn so overhead sprinklers or misters may be necessary. In many high value crops, a dual system (for example drip and overhead sprinkler/mister irrigation on the same orchard) is becoming a popular choice enabling the advantages from both systems to be utilised. It is often very helpful to inspect and compare existing systems that are working well in situations similar to your own. When considering the advantages and disadvantages of different systems, you should also consider your style of management. What do you hope to achieve by upgrading your system? It is easy to be impressed by the latest technology or other impressive systems, but is it right for your situation and management style? See the factsheet in the link below for tables of advantages and disadvantages for each system.